We all know just how difficult Christmas can be, and ladies, we all know how difficult men can be right? Newly divorced Lorna is struggling to adjust to life on her own. When she discovers that her beloved godfather has left her the grand (and crumbling) Ravenscourt House in the heart of Sussex, she soon has a project on her hands. Nathan sells delicious goodies at Mulberry Farm. 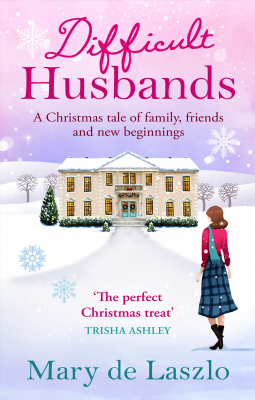 When he meets Lorna at a Christmas market, neither of them can ignore the chemistry. But as they get to know one another, Lorna wants to know one thing – is he after her or the house? Doesn't it sound really entertaining, and enjoyable? I know I for one will be looking forward to curling up with my kindle to read this over the coming weeks. An entertaining story of family, friendship and new beginnings that will delight fans of Trisha Ashley, Carole Matthews and Katie Fforde - of which I am a huge fan of all three lovely ladies!